We will do our best to respond as soon as possible. Cash on local pickup. You will be required to pick it up. You will get a call when the item is ready for pick up. We try our best to clean off all the dust, dirt, stains, scum or oil residue of off each part. 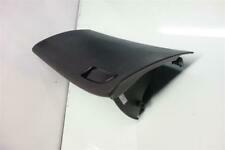 2006-2011 HONDA CIVIC GLOVE BOX. ***OEM*** SAME DAY SHIPPING. 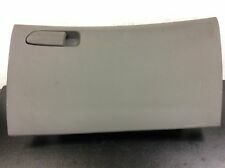 THIS GLOVE BOX CAME FROM 2007 HONDA CIVIC. TESTED- 100% WORKING CONDITIONS. FAST SHIPPING- WE SHIP SAME DAY AS PAYMENT RECEIVED. OEM PART- CAME FROM A DONOR VEHICLE. Honda Civic 6MT SI 2D 2010, 2011 Honda Civic 6MT SI 4D 2010, 2011 Honda Civic 6MT SI-HPT 2D 2010, 2011 Honda Civic 6MT SI-HPT 4D 2010, 2011 Honda Civic 6MT SI-N 2D 2010, 2011 Honda Civic 6MT SI-N 4D 2010, 2011 Honda Civic 6MT SIHPTN 2D 2010 Honda Civic 6MT SIHPTN 4D 2010. 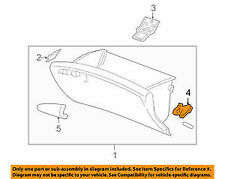 06-11 Honda Civic Si OEM glove box. Black, in good shape. DONOR VEHICLE - 2011 HONDA CIVIC VIN: 2HGFA1F52BH519342. Any sign of tampering or attempt to disassemble or alter the part will void the warranty. proof/receipt of work is required! Vehicle Model : Civic. Vehicle Make : Honda. Part OEM : Factory, Genuine, OEM. - The item has "small scratches" or "normal wear" due to the fact that these are used OEM parts. - The item is a different color than what you thought. 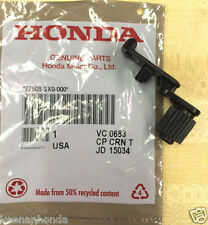 ITEM WAS REMOVED FROM A 2010 HONDA CIVIC SEDAN, REMOVED FROM A LOW MILEAGE VEHICLE. THIS CIVIC WAS EQUIPPED WITHREAR BRAKE DRUMS. This Part may also fit in these cars.